When Roku was a young platform Christian Roku channels meant pretty much one thing. They were a once a week live feed of someone’s church. This kind of channel serves a purpose for those in a specific community but did not exactly jump off the screen for those not affected by the community a given church served. But over time more and more churches and major ministries have discovered Roku. Now there are many choices from movie services to educational series to choose from. Take a look at our Top 10. Of course it’s 10. A Christian Roku channels list kind of has to include Trinity Broadcasting Network. The channel has become an old standby when it comes to Christian TV. 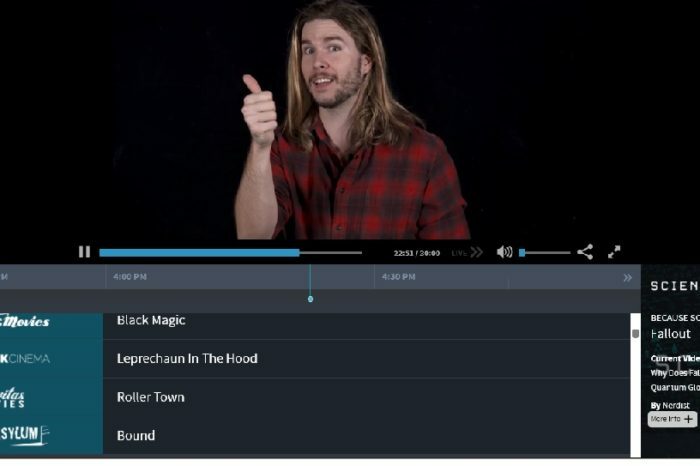 This channel features among other things a live feed of TBN, a small collection of movies featuring titles like Fireproof and Facing the Giants and multiple feeds from Christian TV Networks. Collection of weekly church services from multiple noted preachers, Daily news streams and a collection of regularly updated programming from multiple speakers. Its a good thematic channel for those looking for in-depth discussion of Christian themes. This Channel is heavily flavored by the Church of Jesus Christ and The Latter Day Saints or the Mormons, so its inclusion may be seen as not Christian by some. The channel includes multiple children’s series concerning the Old Testament, New Testament, American Historical heroes. Dramatized audio stories from the Bible and many other entries. On top of that, the channel also features educational films about the faith of the Mormons. The pay channel is very in-depth and features a month-long free preview and rates as low as $7.00 per month. Whether you love or hate the Prosperity Gospel and its very famous disciple, Joel Osteen, there is no doubt about his impact on Christian thinking for many around the country. With a church the size of an NBA arena “it was one” the ministry of Lakewood church has a big reach. This channel presents Osteen’s weekly sermons. Bible Screen does not offer any actual programming. It is essentially a screensaver. While it does not show up as a choice in the screensavers section of the Roku the channel simply cycles through quotes from the Bible. Its animations are lovely and active and change about every 20 seconds. The images and text are accompanied by soothing music. Nice background music and white noise and could even serve as a cool visual for a home Bible study. This is the video ministry of Andy Stanley’s Northpoint Church. The weekly messages from the ministry can be seen in syndication via the weekly TV show called Your Move. 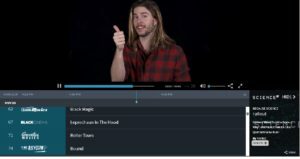 The channel gives viewers the ability to watch the messages in the context of a full church service, which may not be interesting to those outside of the Atlanta area. You can skip to the last say 40 mins to see Stanly take the stage. Viewers can also see the most current services live. LightSource is an aggregator of some of the largest most well-known ministries in the country. Luminaries include Td Jakes and Rick Warren and numerous others, Those who sign in can choose to follow specific ministries and check in weekly to see what’s new. Short animated Bible stories for children. The stories give enough information for the kids to learn the bare basics of the stories but wrap up quickly as not to lose their attention. You will notice the same music in each and every one of the retellings as well as repetitive animations. But the kids probably won’t. Crossflix is a subscription service with a rather large library of both Christian themed films as well as what you would call wholesome movies. Hundreds not thousands. Its new releases section features t84 titles. Like other video services, the movies are broken up by genre including Crossflix Originals. While not exactly a Christian Netflix, it does offer a large selection of titles and features some actors you could pick out of a lineup vs some fare found elsewhere. 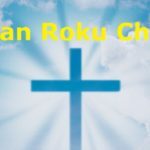 This is one of two Christian Roku channels that features tons of movies. PureFlix is a premier Christian movie studio. The films can be an acquired taste depending on how you like your Christianity delivered but this ministry is well-known, well funded and has a gigantic library of titles including the theatrical hit God’s Not Dead. The service costs 10.99 per month and has a free trial.